Wishing You a Happy Holiday-filled December and a “Smoothie” New Year! Over time, we have included in our blog writing information about cuisine trends that might support healthy-living goals. Our patient community often shares recipes, cooking and snacking tips, product updates and information on advances in nutrition science with us. It is often our pleasure to pass along these tidbits to you. This week, in a slight departure, we want to share a website we found with you. 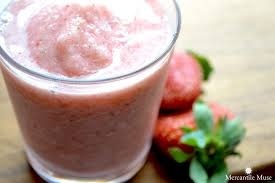 It seems the perfect resource for our friends who have adopted the art of smoothie making into their healthy eating lifestyle. We won’t promise any pain remedies from these recipes – but we will guarantee that at least a few of these winter-themed drinks will bring a smile to your lips. Tell us which recipes you tried and what your reviews are. Perhaps you didn’t feel the time changing in the middle of the night, but this one-hour shift can be a gift or an unwanted intrusion, or a bit of both. For insomniacs, an earlier darkness is conducive to falling asleep. If you can allow your body to dictate to your mind that it is time to prepare for bed, you can benefit from some much needed restorative sleep. All of us who suffer occasional or chronic pain are aware that sleep helps with our ability to manage pain and lack of sleep impairs our ability to adapt to pain. The downside of this earlier darkness is an abbreviated late afternoon of daylight for those who were used to walking or exercising outside. If you have been noticing the dark mornings at bus stops and during your morning drive to work, you will now have daylight for your commute and for an hour or two before. This is great news for early risers, especially for those who work out in the mornings with walks and other activities like classes or at home routines. Working out in the morning tends to be the most advantageous time of the day and leads to a greater adherence to a workout regimen. For those who awaken with the sun’s rays through the windows, utilize the extra hour to prepare a healthier lunch or indulge yourself in a breakfast that takes a bit longer to create. Better yet, do some stretching or light exercise to kickstart some healthy routines. Children’s bodies don’t understand that the clock has turned and can take a week or two to adjust to their “new” bedtime, even if the clock says exactly the same thing. Toddlers and babies are particularly sensitive to this time change and will still wake up and become sleepy at the old time, an unfortunate occurrence for sleep-deprived parents. 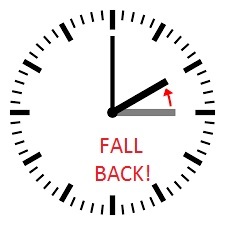 That extra hour of daylight can be beneficial for our bodies, especially for us in Michigan, as we are at the far western and northern end of our Eastern time zone in the U.S. Whether you are a devotee of a local apple orchard or just a lover of apples, this is the best time of year. Right now, apples are at their peak, locally grown and ready to eat. You’ve probably heard the adage, “An apple a day keeps the doctor away”. It’s not completely untrue. Apples are a great source of vitamin C, which is found just beneath the skin (another reason to eat the skin). 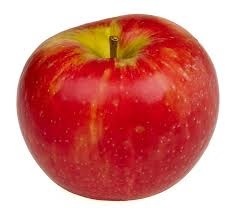 Apples are high in fiber, relatively low calorie and contain minimal sodium and no cholesterol. Apples have been associated with lowering LDL cholesterol (the so-called bad kind) as well as contributing to a healthy digestive tract. Apples can be a part of a diabetic diet. Consumption of apples has been shown in a variety of studies to improve cardiovascular health, improve lunch function, and keep asthma at bay. And apples contain anti-oxidants, which play a role in pain management. For kids’ lunches, many kids won’t bite right into an apple (especially if they have orthodontic appliances). So, help them out, slice and peel the apples and brush the flesh with a mixture of lemon juice and water to prevent browning. Immediately put the slices into an air-tight container. Home-made applesauce from freshly picked apples is easy and makes the house smell great. Core the apples, peel them if you want (we don’t! ), cut the apples into cubes and put them into a small saucepan. Cover the apples (just barely) with water. Boil the apples and then turn down the heat to low until the water lessens. Mash up the apples to the desired consistency. Add sweetener (sugar or sugar substitute, just a few teaspoons or its equivalence) and some cinnamon to taste. Serve warm or room temperature or cold the next day. So, get out there and pick your apples from the orchard or the grocery store, and eat them every which way. We hope it keeps the doctors away, except for well checks, of course! In honor of Labor Day, let’s talk about work and pain. Now, we are not saying that work can’t sometimes be a pain, from the smelly leftovers your office mate is eating at lunch to the endless meetings. We want to focus on how your body functions at work. Standing Tall: If you stand at work a lot because you are in manufacturing or in retail or construction jobs, you may not feel that you can control your physical environment as much as you can. The major thing you can control is your posture. Check your posture. Are your legs spread around shoulder width? Are your shoulders pulled back? These questions not only make you look leaner and stronger, they also protect your back and neck. Change your position every fifteen minutes and do take seated breaks or even if they are comfortable, do occasional lunges or squats. The Desk Jobs: The major components of most people’s work areas are a chair, a desk and a computer. You may not be able to control how much the boss spends on these items or how they are configured, but as you gain some seniority, you may be able to agitate for some better benefits. Does your chair give you sufficient support and padding? Is your chair the right height? Your hips and knees should make 90 degree angles. Although it can be cute for young, short women to dangle their legs from their desk chairs, it’s ultimately terrible for your legs and feet. Is your desk the right height? If you type at a keyboard, your elbows should be at 90 degree angles. Is your keyboard the right height? The majority of the screen should be right at eye level, directly in front of you. Bring a weight to work and stow it under your desk. Every once in a while, grab it and do 8 repetitions of bicep curls or tricep curls or your other favorite arm exercise. Ignore the stares of your coworkers or challenge them to do the same. Sit down/stand up desks. If your boss is Dan Gilbert, CEO of Quicken Loans, then nearly all of your employees have these wonders of ergonomics. With a push of a button, you can change the height of your desk and take a break from sitting for a while. As we looked around his busy office, we noticed that several people change their positions regularly. We also noticed a fair percentage of men and women tending to stand exclusively at the end of their day. Standing improves blood flow, burns a few more calories and prevents blood clots: all good things. Wireless headsets are a great investment for those who spend a great deal of time on either a corded phone or cell phone. Women particularly tend to turn their necks to the side to hold the phone in place, which is a guarantor of future neck pain. A wireless headset not only frees you from neck pain but it also allows you to leave your desk while you talk, encouraging you to be less sedentary. Work is part of life and takes up a lot of waking hours. Let’s resolve this Labor Day to treat our bodies as part of our work product, too. Gorgeous, vibrant colorful leaves: they are what make our Michigan autumns so beautiful. The leaves are everywhere, by the sides of roads and highways, in parks and forests…and in our lawns. We know we will eventually need to remove those leaves from our lawns. We are also aware that we have to attend to the chore before the first snowfall and before too many rainstorms make the leaves too difficult to move. But for pain sufferers, we need to find ways to rake the leaves while still protecting our back. 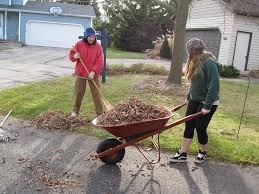 Raking leaves often includes bending, twisting and lifting. We need to be mindful of our body position and mechanics, so that we don’t cause pain or exacerbate pain we already experience. Obviously, a leaf blower that you can comfortably tote will make shorter work of raking, but you typically will still need to rake at some point in the operation. 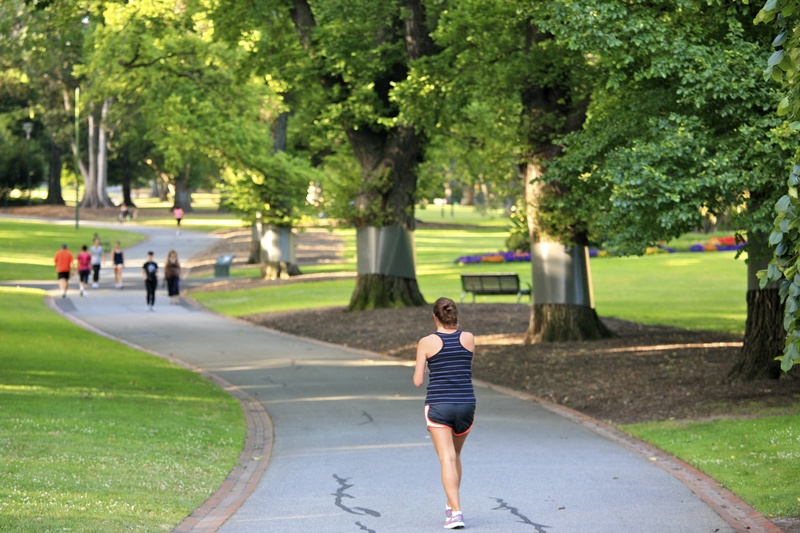 Warm Up: Just like all exercise, you don’t want to go straight from the bed to the flowerbeds. Do some light stretching or calisthenics before you even attack the leaves, especially if you live a particularly sedentary lifestyle. The Right Rake: Be sure that your rake “fits” you, that it it is not too heavy and neither too long nor too short. Just Shoe It: Wear supportive shoes that aid in good balance and protect you from the elements. Love the Glove: Gloves protect your hands from blisters and of course the Michigan chills. No Twisted Sisters: You really have to be mindful of how you move your body. Plant yourselves in front of the leaves and move the leaves forward or backward without twisting your spine or shoulders. Heads Up: Try to look forward and up as much as possible to prevent neck strain and soreness. Bend at the Knees: Avoid bending at the waist as much as you can. Bending the knees saves your back. Stop and Stretch: After 15-20 minutes, stop for a moment and stand fully with the rake on the ground, hands on the hips and gently bend backwards. Do this 3-5 times before returning to your raking. 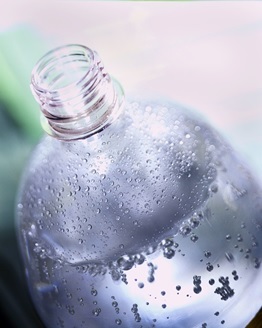 Hydrate: Bring your water bottle outside with you and take frequent breaks. If you are sweating, you need to drink a bit. Rejuvenate: After you are done, do some light stretching and take a nice warm bath or shower to help relax those muscles. And just think: you won’t have to do this again for a while! We know that our body is composed of water. But not enough water that we can’t use more! We need to remain hydrated, so that blood moves to our organs. When we are properly hydrated, we avoid kidney stones, our digestive system moves along appropriately, our skin is in its optimal condition and we can also keep hunger at bay if we are watching our weight. In addition, headache sufferers need to remain fully hydrated, as dehydration can be a trigger for migraines and other headache disorders. It is very easy to become dehydrated. Water leaves our system through sweat, through just exhaling and when we urinate or have a bowel movement. We lose more water during the summer or during times when our breathing rate or sweating are increased such as during exercise, if we are in a hot sauna or shower, during hot or humid weather or when overlayered in clothing, or if our job or leisure activities are physically demanding. No, you can also be hydrated through juices and foods that contain water (typically fruits and vegetables), but water is available for free, has no sugar added and often has fluoride, aiding oral health. In addition, water does not contain caffeine. Caffeine is not necessarily bad in smaller amounts. Contrary to popular opinion, caffeine has not been implicated in contributing to dehydration issues, especially if its use is limited (2-4 cups of coffee per day or two servings of pop). How much water does a typical person need? The old information is that you need to divide your weight in half (so if you weigh 150 pounds, divide that in half to get to 75). The halved number is the number of ounces that you should drink. So, under the old formula, a 200 pound person needs to drink 100 ounces of water and a 150 pound person needs to drink 75 ounces of water. It now appears that the above formula overstates the need for water by a bit. Essentially, if you drink when you are thirsty and monitor your urinary output, you are drinking the right amount. You are not overly thirsty. Your mouth does not feel dry (and you don’t suffer from bad breath, a sign of dry mouth). Your urine is clear or light colored (bright yellow urine or darker is a classic sign of dehydration). Your bowel movements are relatively soft. Walking for health has many benefits: it is the greatest contributor to maintaining healthy weight, it staves off Type II diabetes, it improves cardiovascular health, has been proven to combat depression, contributes to overall physical functioning and also keeps dementia at bay. Walk more. In general, in order to maintain cardiovascular health, 30 minutes of accumulated moderate exercise nearly daily is recommended, and is a very achievable goal. If you are also trying to lose weight, it may take closer to 60 minutes of sustained exercise. Walk fast. A slow amble is better than sitting at home watching the Weather Channel. But a recent large-scale study of walkers in the National Walker’s Health Study indicated that ponderously slow walkers had a higher than average mortality. This could mean that the slow pace wasn’t aiding the poky walkers. It could also indicate that slow walking was a sign of other underlying health concerns. Time your walking. Either time yourself on a marked track of use any kind of phone app that measures distance and time. Try to get yourself to a 16 minute mile. And be aware: if your walking is 24 minutes per mile or slower, then consider seeing a health professional. Look at your walking shoes. If they are wearing in unpredictable places or even mildly uncomfortable, take your shoes and your feet to a reputable shoe store and find good-fitting shoes for your foot and gait. 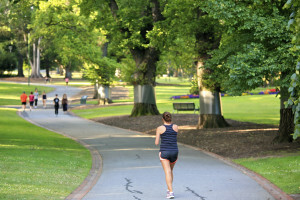 Walk in the familiar: For lots of exercisers, the easiest walk to be motivated for is the one in the old neighborhood. Familiar terrain and no surprises make it easy to keep track of time and mileage and you never feel lost. Familiarity breeds contentment. Walk in good form. Walk upright, keep your arms bent at 90 degrees and your hands and arms relaxed. Avoid overstriding. Always consult with your physician before embarking on any exercise regimen.